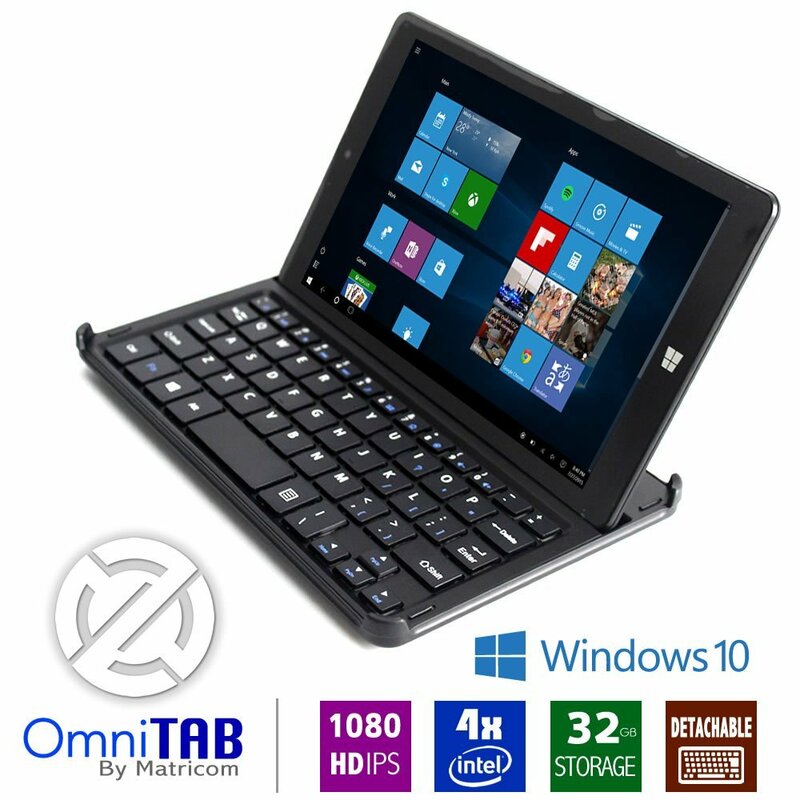 Matricom OmniTAB 8 inch features a Powerful 4x Quad Core Intel Atom 1.33 GHz processor offers a fast and fluid user experience for every Windows application! Extended Wi-Fi and Bluetooth keeps you connected and supports your favorite external devices such as keyboards, mouse, headphones and more! Matricom OmniTAB comes with the full Microsoft Windows 10 mobile OS giving you access to hundreds of thousands of the best applications known to man. No limits, install what you wish and go! Matricom OmniTAB includes a 32 GB eMMC Solid State Storage (SSD) means you won’t be limited by space and a full 1 GB of system RAM means your applications will run smooth. Load up on your favorite applications, music, movies/videos and more and take them on the road with you. The HD 1280 x 800 IPS display is not only crisp, it’s extremely responsive with 10-point touch multi-finger input, enabling ease of use, creativity and flexibility with your applications. 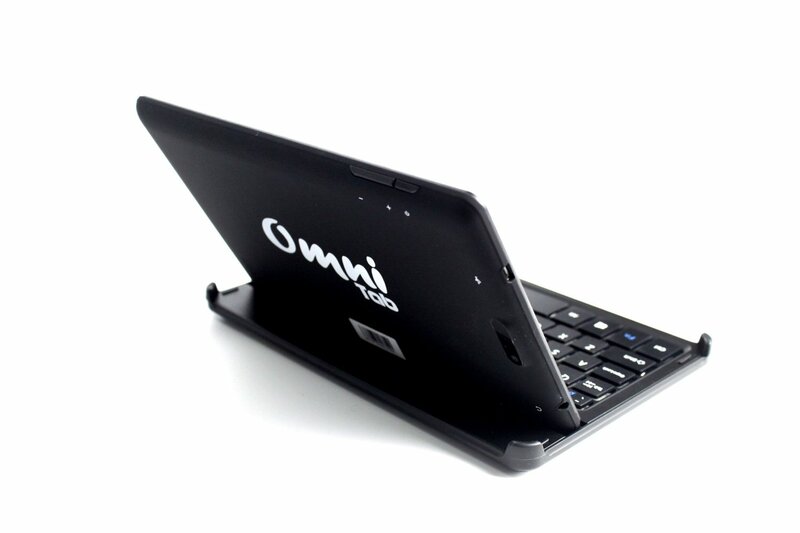 Included detachable keyboard turns your OmniTAB into a convenient Laptop PC anytime! Matricom’s 1 year warranty covers your Tablet from any manufacture defects! Customer Support answered to your questions quickly. Display Screen: HD 1280 x 800 IPS display, responsive with 10-point touch multi-finger input.